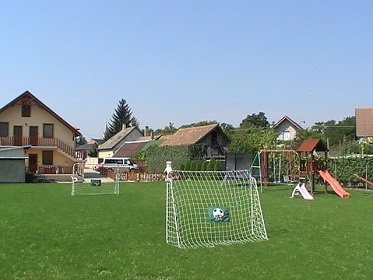 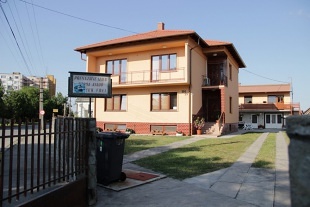 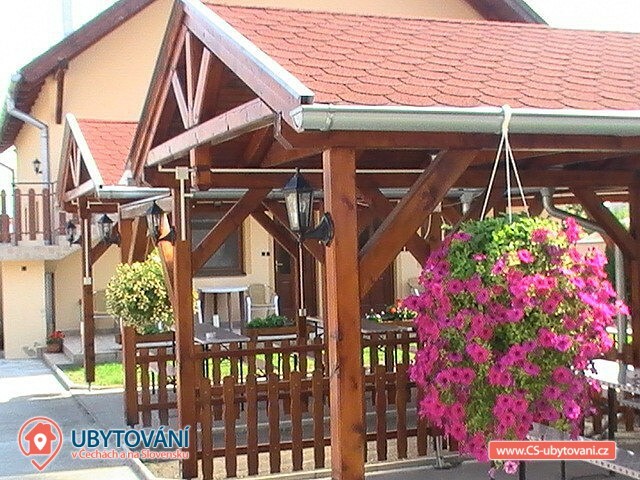 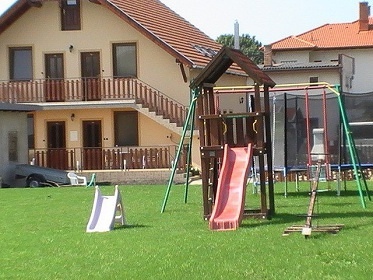 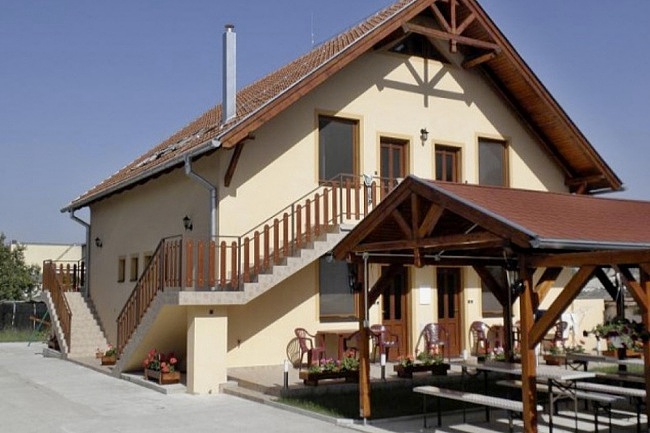 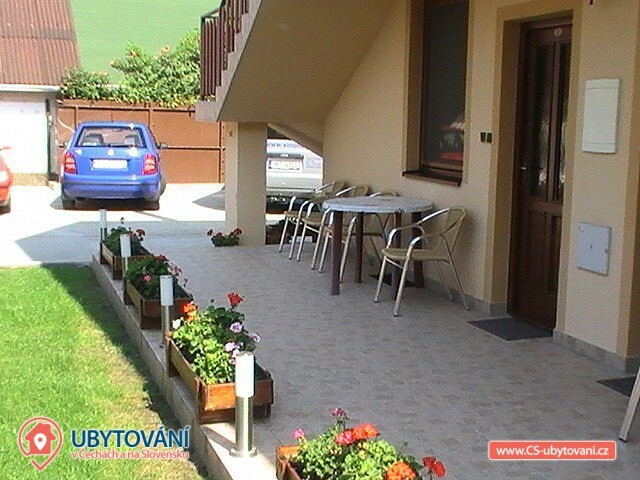 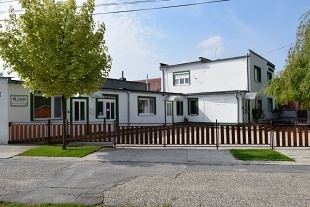 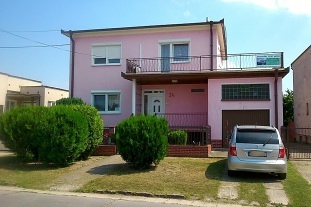 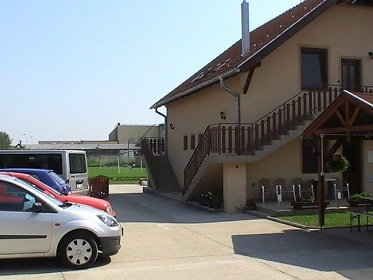 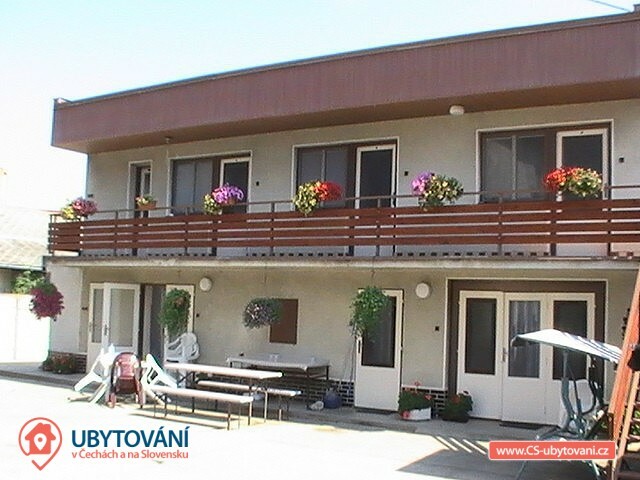 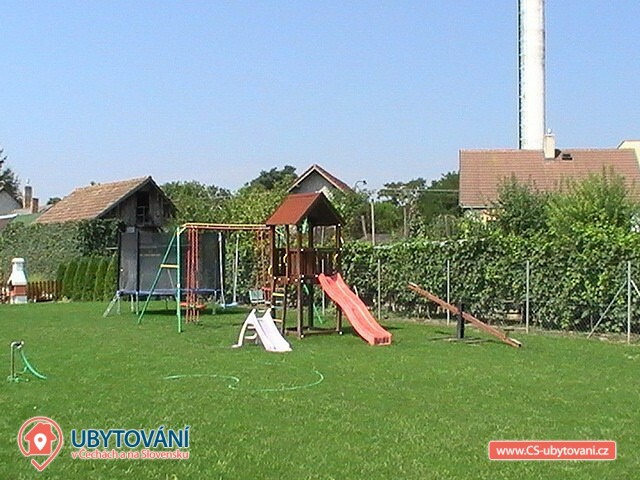 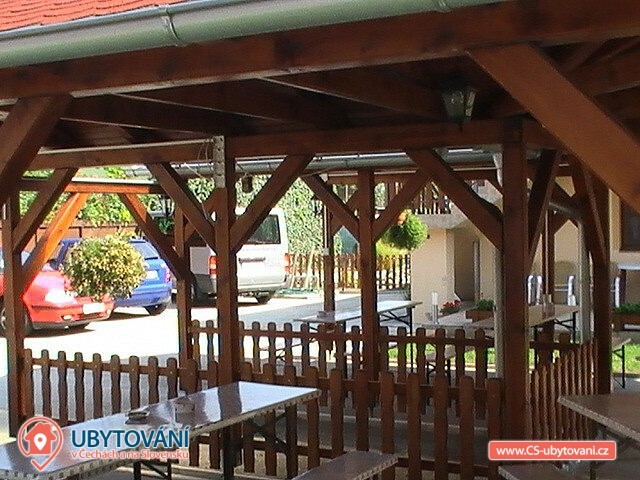 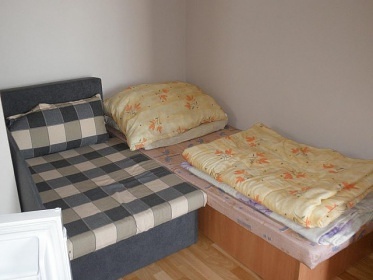 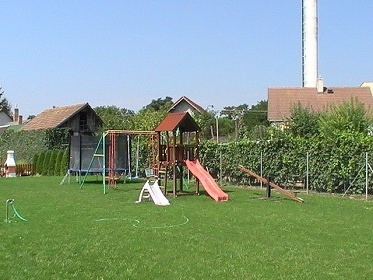 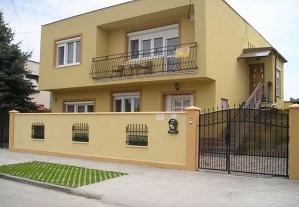 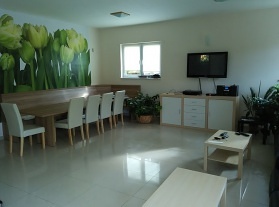 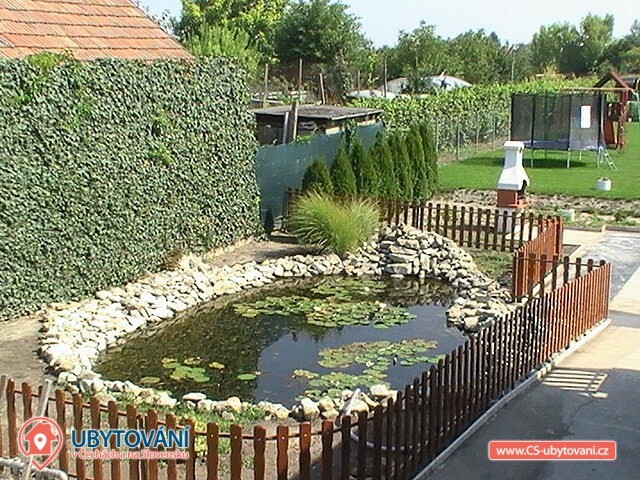 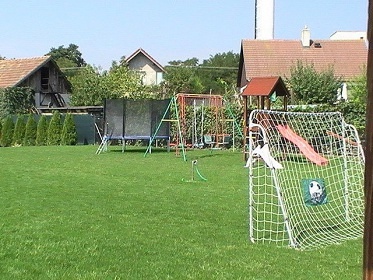 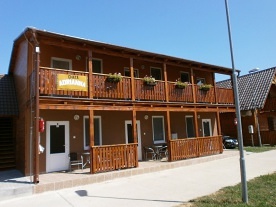 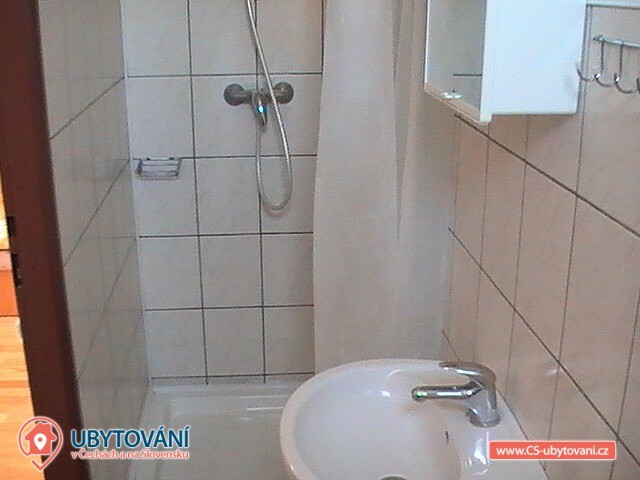 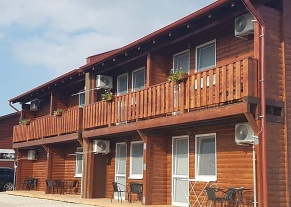 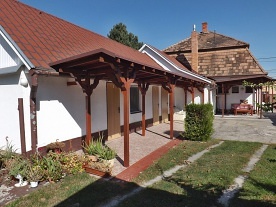 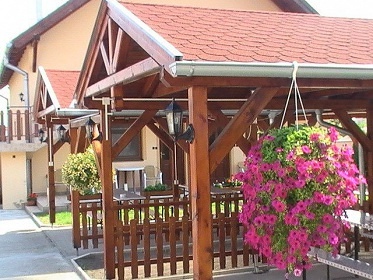 Apartmánový dom Kosár - privát Veľký Meder - accommodation South Slovakia. 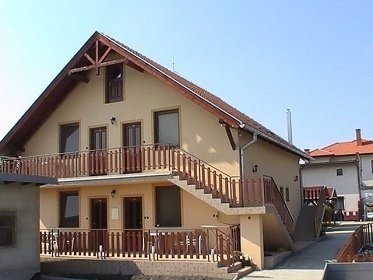 Apartment house Kosár is located in the famous spa town of Veľký Meder. 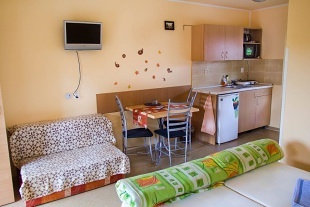 We offer accommodation in 8 apartments with a total capacity of 32 beds. 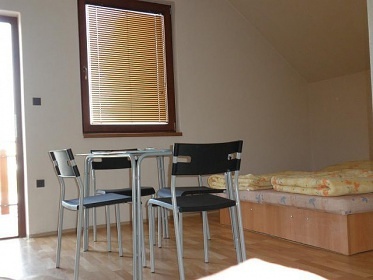 Each apartment can accommodate a maximum of 4 people. 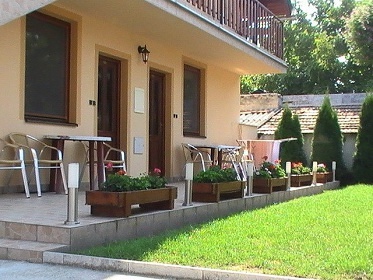 On the ground floor there are 4 apartments with an outdoor terrace and a seating area. 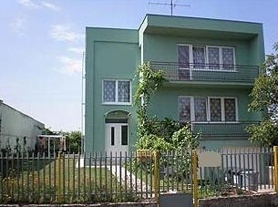 Upstairs there are another 4 apartments with a balcony. 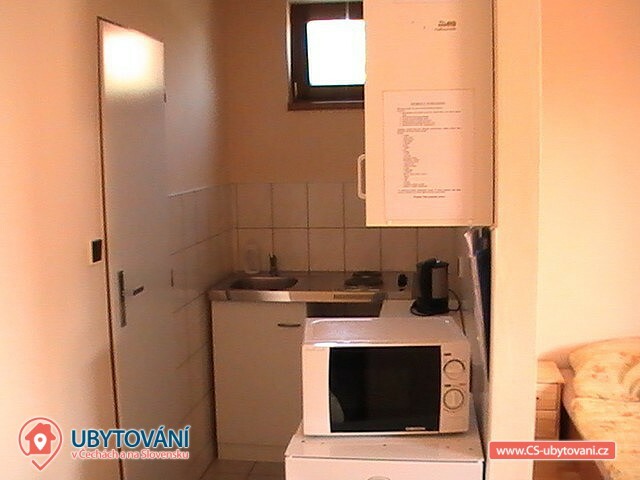 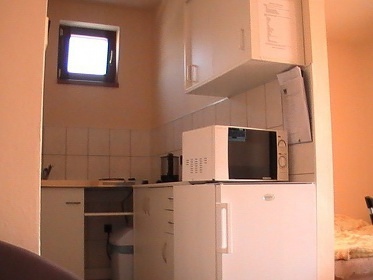 Each apartment has its own kitchen: refrigerator, electric kettle, electric hob, microwave, pots, plates, cutlery, glasses. 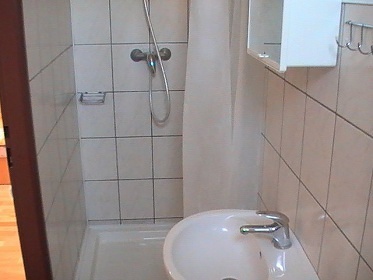 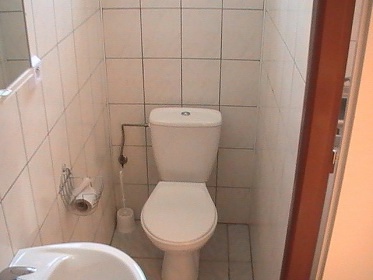 Each apartment has a separate bathroom (bathroom + toilet). 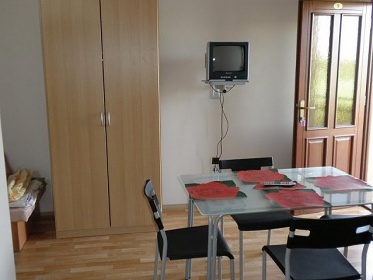 Apartment equipment: 3 fixed beds + 1 extra bed, table + 4 chairs, TV. 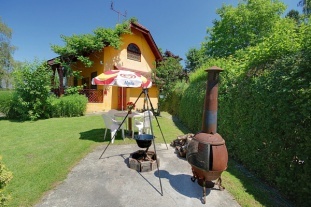 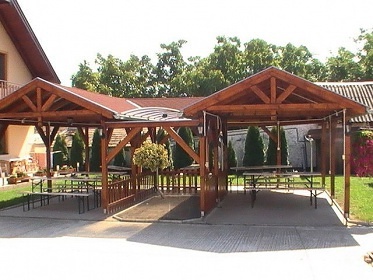 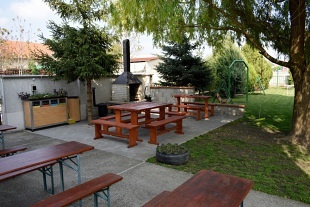 Parking is in the courtyard, where there is an outdoor sitting area with gazebo, fireplace and garden grill. 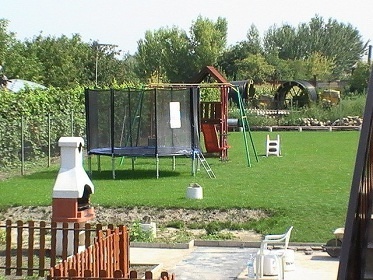 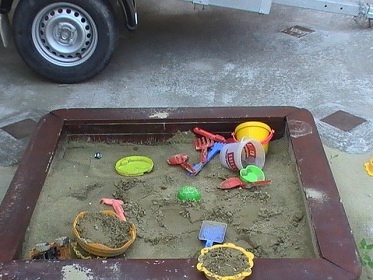 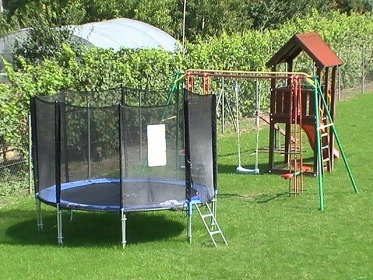 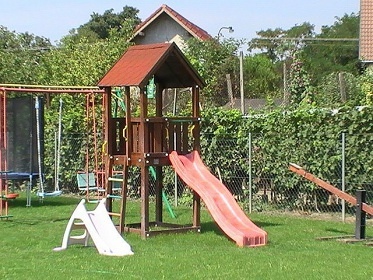 For children there is a sandpit, climbing swings. 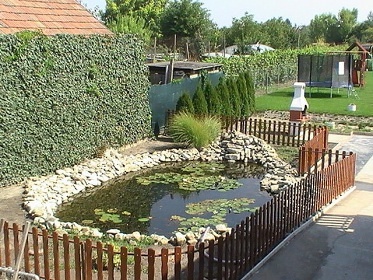 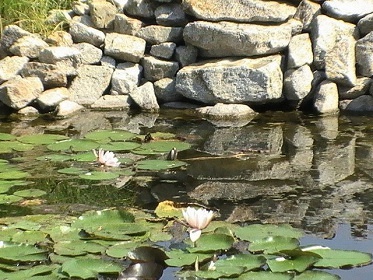 There is also a nice pond. 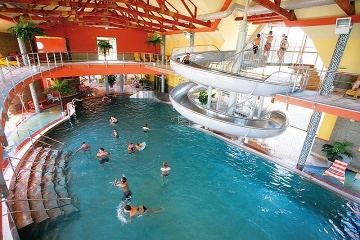 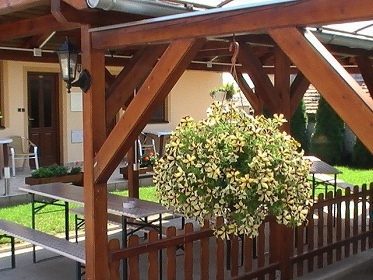 In the surroundings you can explore the historical beauties of Slovakia. 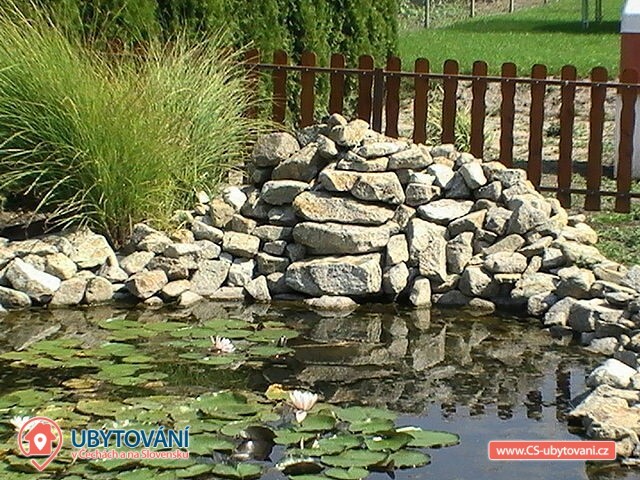 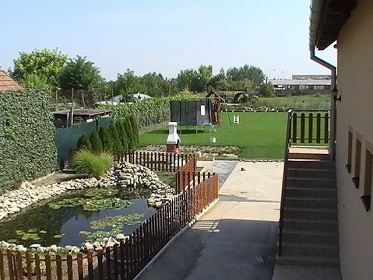 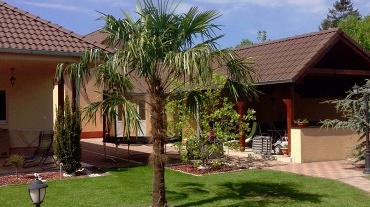 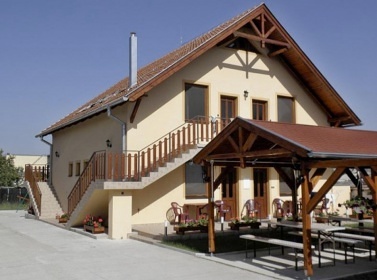 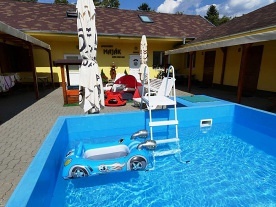 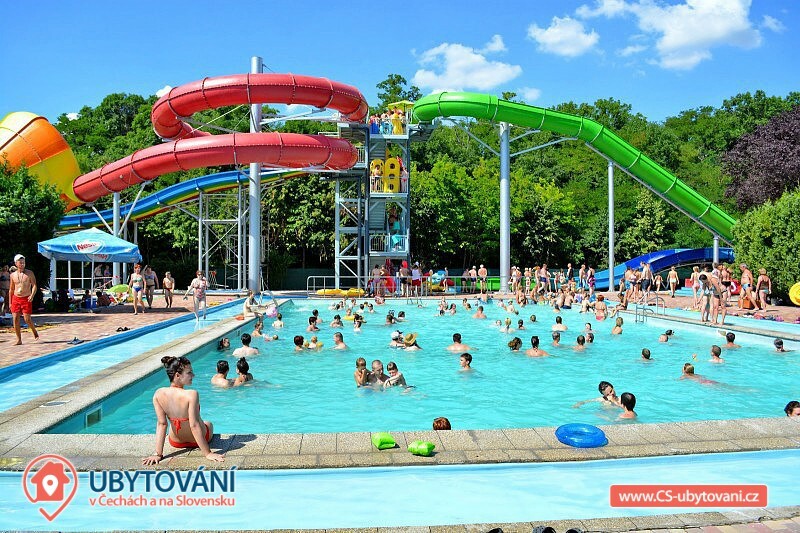 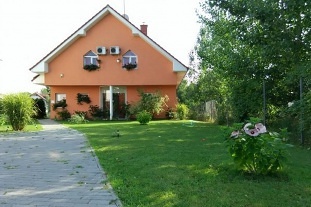 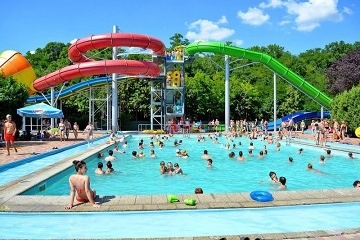 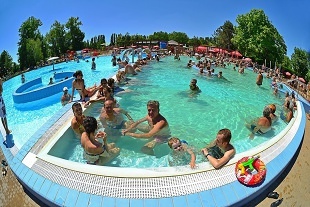 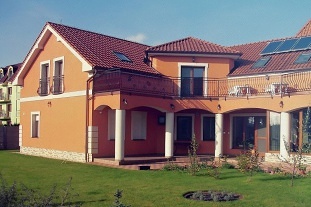 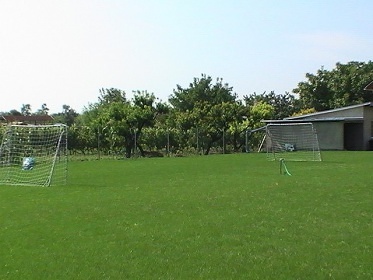 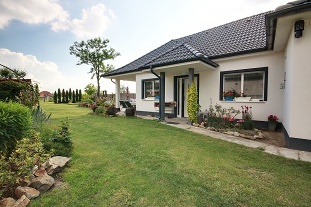 Great Meder has a good location in southern Slovakia, it is located in the beautiful surroundings of the Danube, Danubian Lowlands, Podunajské planiny and Žitný ostrov. 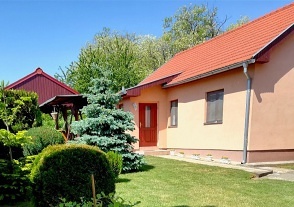 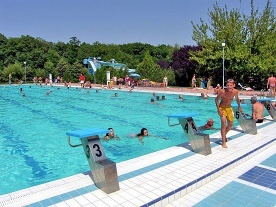 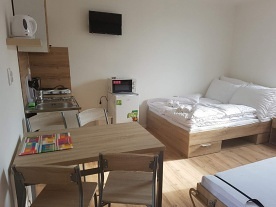 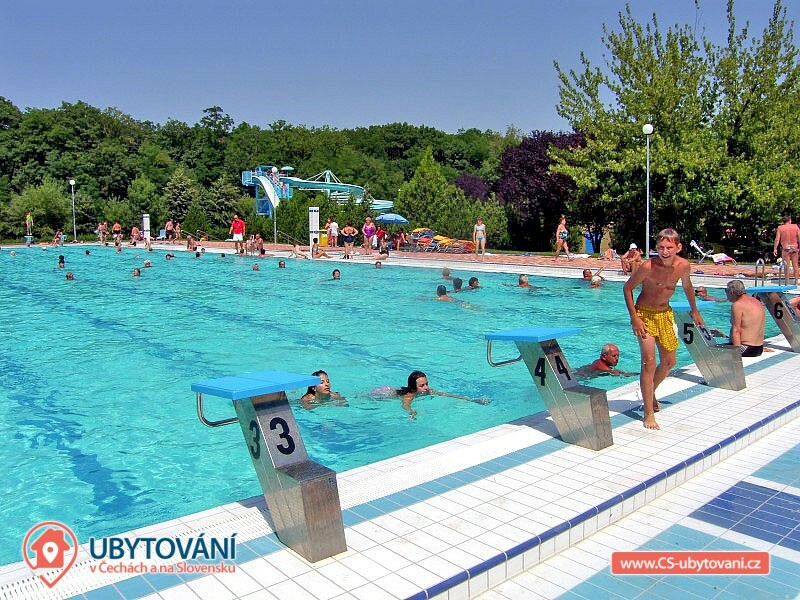 The following activities are possible: horseback riding - Dunajský Klátov 25 km, Slovakiaring - motoring (Orechová Potôň 30 km), cycling through Žitný ostrov - Cycling route Danube, fishing is possible for a fee in the following localities: Ňárad, Dolní Bar, Kolárovo , Bohelov and Zemianska Olča.